Jimmie Cockerill has been actively pursuing the marine industry since 2004. He began as a wood worker’s apprentice under the tutelage of Jody Leonard, the owner of Bodkin Marine Service. Jimmie’s initial focus was classic and historical yacht restoration. Within a short time, he found himself expanding his knowledge base into marine carpentry and  traditional rigging. As he gained experience in the boat yards of Annapolis and Baltimore, Jimmie found himself as an apprentice under the Annapolis area’s top riggers. Sean Simmons (Master Rigger), Patrick Jinks (Master Rigger and Hydraulic Technician), and John Lyons (Master Rigger and Master Spar Builder), were just a part of the team that helped influence and mentor Jimmie’s quick road to being a top choice for sailboat rigging in the Annapolis area. 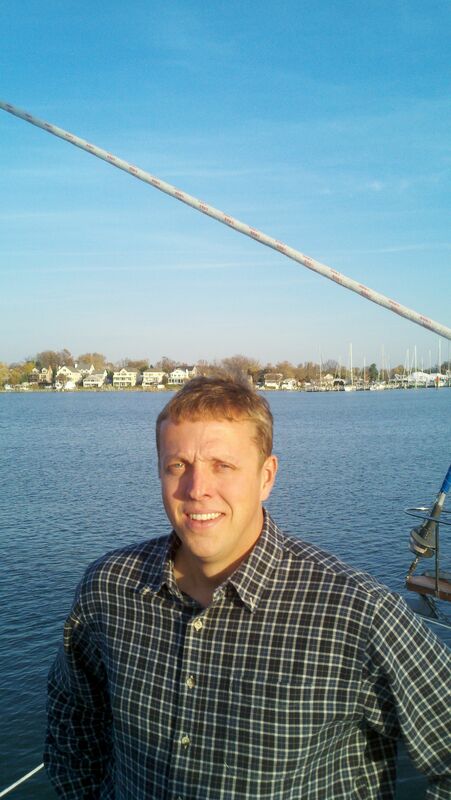 As a result of his focused apprenticeship as well as his skills in sales, business management, and customer service, Jimmie shortly found himself being promoted to General Manager of a premier mid-Atlantic rigging company, Chesapeake Rigging/ Annapolis Spars. In 2011, Jimmie Cockerill took his success in the rigging industry to new heights by becoming the proud co-owner of The Rigging Company; along side his best friend, rigging team-mate, and mentor, Sean Simmons. Jimmie has been an avid racer and competitor on several classes of boats, large and small since 2004. 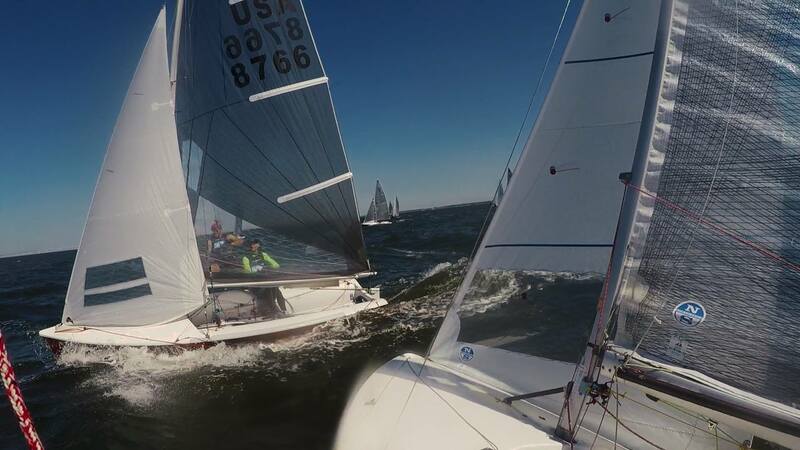 He has made achieved numerous accolades in regatta sailing throughout the greater Annapolis/Baltimore area, up and down the East Coast USA, as well as his home country, Germany. Today, along with successfully running his own rigging business, Jimmie is still active sailing on various boats, expanding his knowledge and always looking forward to learning the next thing. Tags: annapolis, Rigger, sailboatCategories: Annapolis Sailing, Around the World, Baltimore Sailing, Classic Yachts, Cruisers, Maritime News, Rigging, The Biz! I wonder if you could steer me in the right direction. 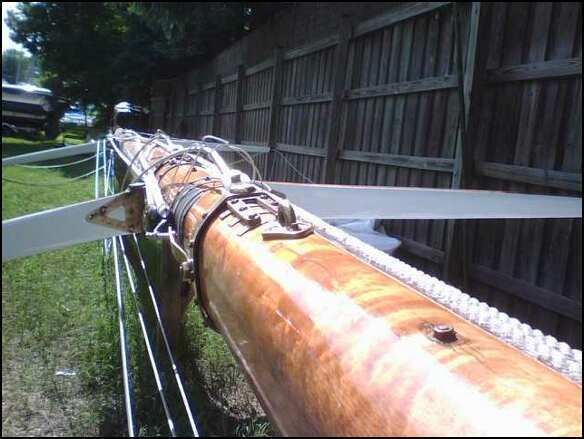 i’m building a new wooden boom for my cheoy lee 38 sloop. id like to add an outhaul adjustable from the cockpit with some muscle (8 to 1?) but am not sure how to rig it. the old setup is a screw drive unit at the end of the boom with a little hand crank. it’s useless . any ideas? since I’m building it from scratch i can do anything i want. We’d be glad to help. Please send us some pictures of the boom and how you’d like to lead it back to the cockpit. That way I can come up with a solution that will help you. PreviousAnnapolis Yacht Rigger Will Be Missed! NextDisaster Strikes Early In The Volvo Ocean Race 2011-2012!